The digital switchover may cause far more disruption to television services than first thought, according to broadcast regulatory body Ofcom . It is calling for comments from its members on its draft Code of Practice , a set of guidelines on how to minimise interference to reception caused by the country-wide transition from analogue to digital. To bring digital broadcasts to the whole of the UK, new antennas will need to be built. 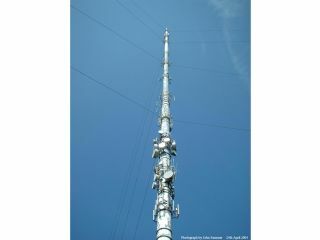 However, there is concern that the new antennas may interfere with existing, weaker digital antennas, as well as existing analogue antennas. The switch off will happen by ITV region and since some regions are very close to one another, such disruptions may not be resolved until all neighbouring regions are switched over. That could take years as the first switchover will happen in 2008; the last in 2012. The digital transmissions of neighbouring countries, like France, may also cause disruption. The fears are TV services will be limited in some areas, even stopping altogether in others as old antennas are replaced with newer ones. The Ofcom-chaired Joint Planning Project, looking after areas of the switchover, has been tasked with identifying the areas where this crossover interference will be most disruptive. The parties involved in agreeing on Ofcom's change in code over the regulation of the digital switchover have until March to make their ideas known.